Acupuncture is a safe and effective treatment for most conditions. Acupuncture is used by nearly one-third of the planet's people because it has proven to be effective: acupuncture treats the root cause of illness as well as the symptoms. Sho-ni-shin is a needle-free way of treating infants and children for such illnesses as asthma, chronic earaches, bed-wetting, insomnia, common colds and sore throats, as well as behavioral and emotional challenges. Small metal tools stimulate the channels and acupuncture points without breaking the skin. Children respond quite quickly to treatments and pediatric herbal formulas. Regular shonishin treatments are a great way to boost a weak immune system to avoid the need for antibiotics. Acupuncture is a wonderful medicine when it comes to treating women during pregnancy. It offers drug-free options for helping with many of the problems that can arise. Acupuncture can be done as as series of pre-birth treatments used during the last month of pregnancy to prepare the woman's body to give birth. These treatments have been shown to significantly reduce labor time. Stephanie Wilson was the in-house acupuncturist for the Denver Roller Dolls for their 2011-2012 season. The girls benefited from seeing immediate results from simple yet effective treatments. 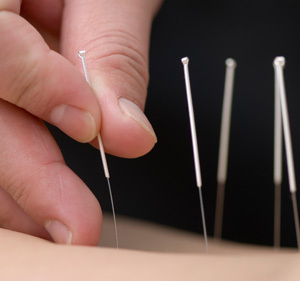 These types of treatments are what is often used at Boulder Community Acupuncture. Stephanie believes in the methods she uses based on the wonderful results seen over and over with the Roller Dolls. Stephanie is passionate about using acupuncture to get quick and lasting results with many sports related injuries. She works with professional athletes, avid runners, and the weekend warriors of Boulder. Stephanie is available Tuesdays and Saturdays. See our Clinic Schedule.